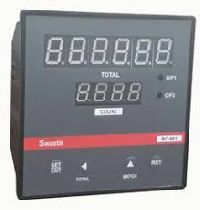 Size : 72 x 72 x 113 mrn. Set Point : Single Set Point / Double Set Point (optional). 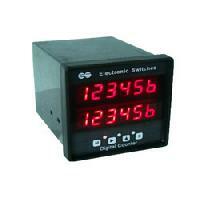 Indication : Led To Indicate Relay Status. Memory : Non Volatile Memory. Reset : Auto / Manual Reset Facility. 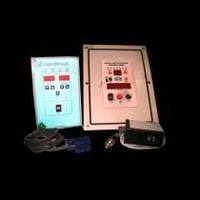 Power Supply : 230v Ac, ±20%, 50Hz. 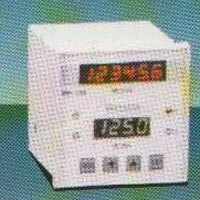 In manufacuring industry every batch of products goods contains a certain number of objects. 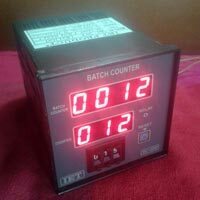 When preset number of count is reached, Batch counters will automatically generate a relay output; which can be futher used to turn on the buzzer or indication light to indicate batch completion. 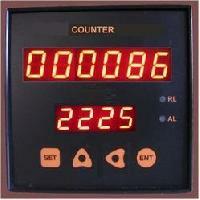 These counter are capable to count and store number of such batches processed or completed. 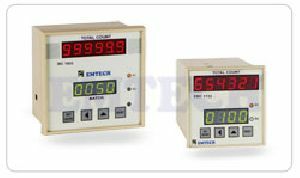 Batch counter photoelectric devices for dectection, Safety, Measurement and inspection. 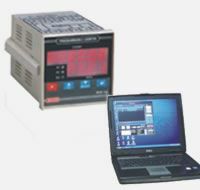 Accessories and complementry products for automation in Packaging, Printing, Processing & Pharma industry. 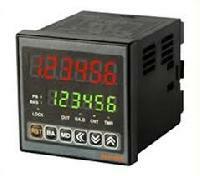 accessories and complementary products for industrial automation. 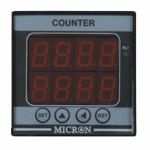 Our Batch Counters are designed by our team of skilled and adroit personnel under the guidance of experts. 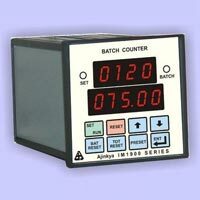 We are a reliable Manufacturer and Supplier of Batch Counters from Maharashtra, India. Durability, easy handling, reliable and low maintenance are the specialties of our Counters, which is why they are preferred by the buyers. 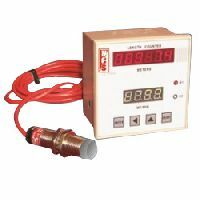 We are one of the renowned Manufacturers and Suppliers of a wide array Photocell Presettable Batch Counters in Haryana, India. 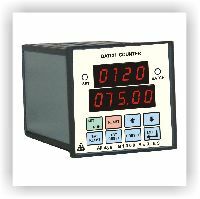 Available with us in varied designs and specifications, our Photocell Presettable Batch Counters are dimensionally accurate, optimally functionality and reliable. 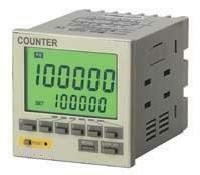 We offer Photocell Presettable Batch Counters at competitive prices. ONM 18 Rotary Numbering Machines Automatic Friction Feeding with perforation, Sticker Half Cutting & Creasing.Machine Speed 10000 Per Hrs for perforation, sticker cutting and creasing for Numbering 5500 per Hrs. 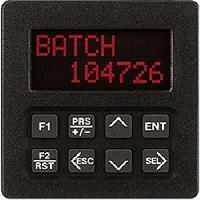 We are offering presettable digital batch counter. 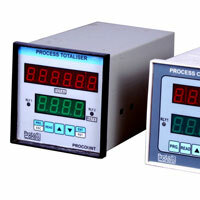 protocontrol is leading manufacturer of the digital batch counter. 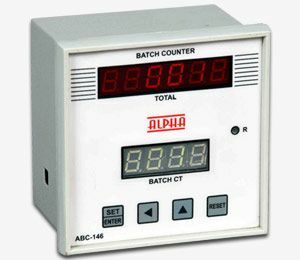 In digital batch counter we can set the batch and relay output change when the set count completed. 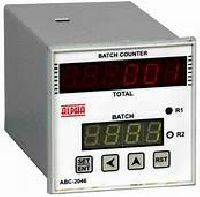 the batch counter consist of two display on same counter. 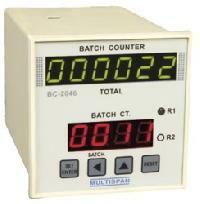 One display is used for display batch value and another for the actual count. 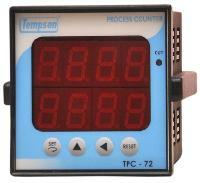 Whole assembly consist of display unit and sensor.